This article discusses how exposure to cigarette smoke or substances derived from it may change the properties of leukocytes, or other cells of the vasculature, in such a way that circulation of leukocytes is modified. 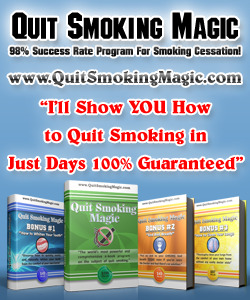 These changes are thought to contribute to smoking-related pathology, especially in the lungs. Although emphasis is placed on modifications affecting the microcirculation, the processes discussed may also influence arterial disease. Cigarette smoking is recognized as an etiological factor in arterial diseases, possibly through the ability of components of the smoke to cause damage to the vessel wall and to modify functions of the vascular endothelial cells. The ability of cigarette smoke (CS) to promote the inflammatory response causing atheroma of large arteries is also manifest in the link between cigarette smoking and microvascular pathology, in organs such as the lungs, kidney, retina, and gastrointestinal tract. In the lungs, cells of the pulmonary microvasculature and of the blood may be functionally modified by direct exposure to components of cigarette smoke. In remote organs, dissolved components of the smoke, modified plasma constituents, or substances released from the pulmonary cells may be responsible for changes in the local functions of microvascular endothelium. However, it is also possible that leukocytes exposed to products from CS in the blood not only cause local problems in the lungs, but are themselves carried to other sites and affect the microvascu-lature there. In principle, this could occur if the rheological properties (either mechanical or adhesive) of leukocytes are modified, so that microvascular transit is impaired. In general, resistance of both red and white blood cells to deformation depends on the cell geometry (volume and surface-area-to-volume ratio) and on the separate viscoelas-tic properties of the membrane and of the cytoplasmic structures. Cells must have an excess of membrane surface area over the minimum required to enclose the cell volume; otherwise they cannot adapt their shape without expansion of surface area or decrease in volume. Neither change is possible on the time scales of microvessel transit. Leukocytes have a large excess surface area in the form of microvilli and surface folds. The limiting factor in their rate of passive deformation arises from resistance elements in their cytoplasm, especially the cytoskeleton, which is rich in polymerized actin filaments (F-actin). The nucleus is also relatively rigid, but this appears to be a more important element in mononuclear cells than in polymorphonuclear gran-ulocytes. The internal structures of leukocytes make them much more resistant to deformation than red cells, which lack a nucleus and true cytoskeleton. In general, passage of leukocytes through capillaries is achieved by passive deformation under the action of the local blood pressure gradient. The leukocytes enter small capillaries much more slowly than red blood cells and may cause intermittent temporary occlusions of capillaries or hold up trains of following red cells . In the case of the pulmonary microcirculation, all of the blood leukocytes pass through repeated capillary segments at relatively low pressure. The average pulmonary capillary diameter is 5 mm, compared to the average diameter of a polymorphonuclear granulocyte of about 8 mm. Thus a proportion of neutrophils (the most numerous granulocytes) are delayed in transit in the pulmonary capillary bed (illustrated in Figure 1), which provides a noncirculating or slowly circulating pool of neu-trophils that can be mobilized in times of stress. larger external forces will be required to make them flow through a narrow capillary, on a much faster time scale. Thus active cytoskeletal rearrangements are appropriate for leukocyte migration out of vessels, but impair passive flow of cells through capillary lumens. In addition to mechanical resistance to deformation, transit of leukocytes depends on any tendency to adhere to the endothelium lining microvessels. Adhesion and migration into tissue typically occur in the postcapillary venules, as part of the protective inflammatory response to infection and trauma. However, uncontrolled adhesion has the potential to occlude microvessels and to cause damage to the vessel wall and surrounding tissue. in the pulmonary microcirculation, adhesion and migration of leukocytes, particularly neutro-phils, tends to occur in the pulmonary capillaries rather than in venules . 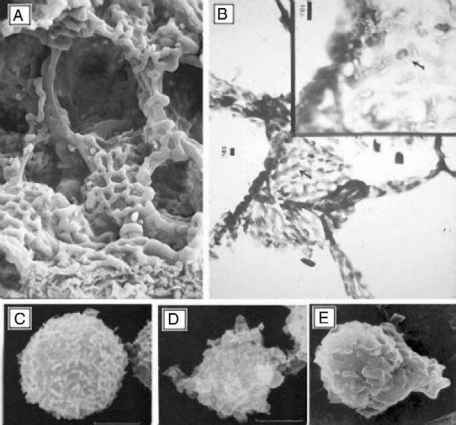 Figure 2 Comparison of the steps involved in traffic of neutrophils from the blood into tissue in (A) postcapillary venules and (B) the pulmonary microcirculation. in postcapillary venules, rapidly moving leukocytes are marginated by centrally flowing red blood cells, and initial attachment is supported by selectin receptors on the endothelium. An unstable rolling form of adhesion is established, which is converted to stable adhesion in response to a chemotactic agent such as interleukin-8. This stable, integrin-mediated adhesion also supports movement over and through the endothelial monolayer, into tissue. in the pulmonary capillaries, neu-trophils must deform to enter and are in close contact with the endothelium. Selectin-mediated adhesion appears redundant for these slow-moving cells, and stable adhesion occurs if integrins become activated, again by local chemotactic agents. 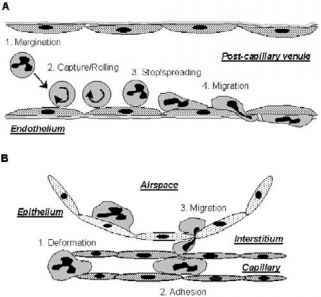 Then the cells will migrate not only into the interstitial space, but also, potentially, across alveolar epithelium into the airspace. endothelial cells and L-selectin on neutrophils) and proteinborne carbohydrate ligands. These bonds support a rolling form of adhesion, slowing the neutrophils down. Neu-trophils can then interact with chemotactic agents such as platelet-activating factor (PAF) and the CXC-chemokine interleukin-8 (IL-8) presented on the surface of endothelial cells. Engagement of these agents by specific receptors causes activation of the neutrophil b2-integrins (CD 11a/ CD 18, CD11b/CD18). The integrins immobilize the neu-trophils by binding to intercellular adhesion molecule-1 (ICAM-1) and, in the case of CD11b/CD18, possibly other structural proteins. The neutrophils next spread and migrate first over and then through the endothelial surface, in a few minutes. Migration requires polymerization of cytoskeletal actin, and cyclical regulation of integrin binding. Lymphocytes and monocytes follow a similar sequence. They have the added ability to use their a4b1-integrin to bind vascular cell adhesion molecules-1 (VCAM-1) to support capture and immobilization, and they utilize a largely separate group of CC- and CXC-chemokines. The foregoing paradigm has largely been developed with reference to leukocyte recruitment to endothelium in postcapillary venules of the systemic circulation during inflammation. In the lungs, inflammatory recruitment in microvessels supplying the large airways appears to conform to this pattern, but adhesion in the pulmonary circulation may follow a different pathway (see Figure 2 for comparison of pathways). Here, capillaries are the main sites of leukocyte adhesion, and because the cells travel slowly through these segments, the requirement for selectin-mediated adhesion is reduced. Thus, chemokines can activate the slow-flowing cells that can go directly to stable integrin-mediated adhesion and then migration. In all cases, endothelial cells control the stages of recruitment, through their own response to inflammatory mediators and cytokines, such as tumor necrosis factor-a. (TNF) and inter-leukin-1 (IL-1). These agents regulate endothelial expression of the selectins, chemotactic agents, or integrin ligands that are required in the different regions.